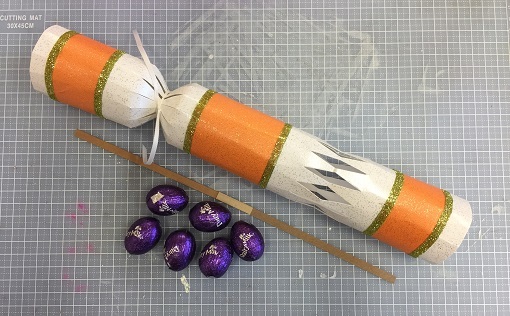 Crackers aren't just for Christmas as Jane Collman demonstrates here with her fun and colourful Easter gift idea. I am sure the Easter Bunny would approve of these! Jane used a White Stardust Cracker, which are great for other occasions such as Easter or Weddings. 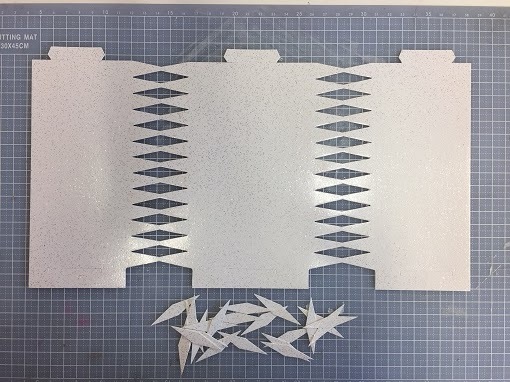 Push out the diamond shapes and keep them as they can be glued together to make pretty star shapes etc for other projects. 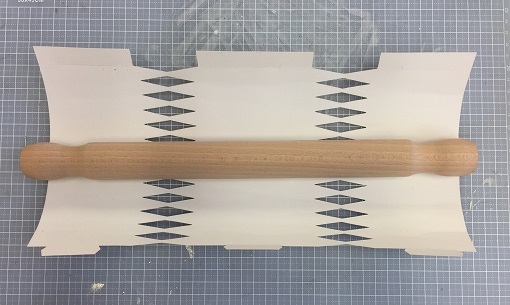 If you have trouble shaping the crackers, try using a wooden rolling pin to roll them around! 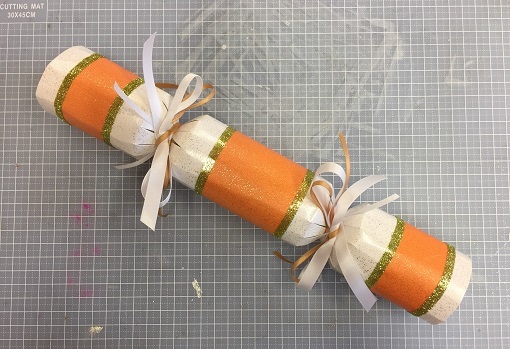 Cut Orange Stardust Paper and use a Tape Pen to stick to the cracker. 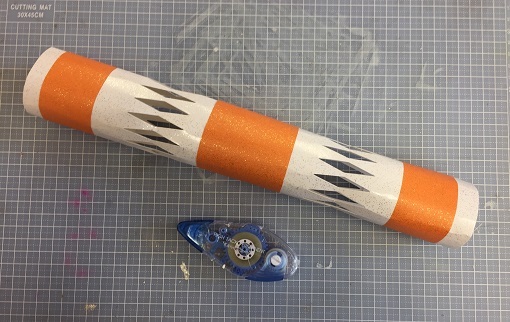 Ultra Sticky Clear Tape added to the edges of the orange pieces is great for Glitter and Beads. 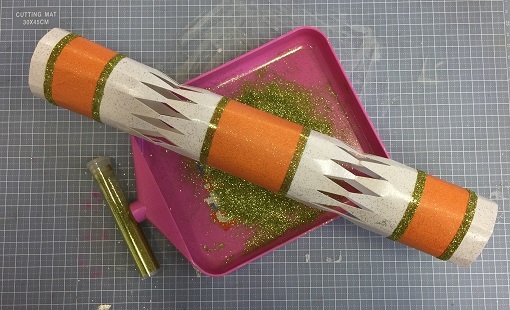 Use a Stix2 Clean and Clear Tray to keep your glitter in one place and excess can be easily put back into the tube. 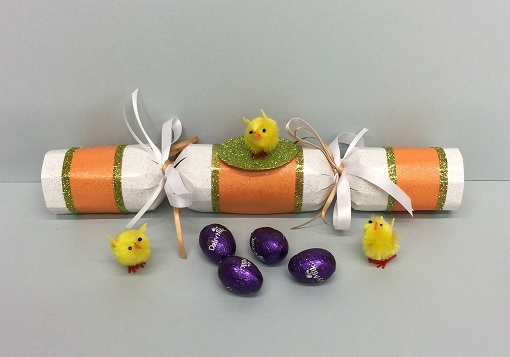 Tie off one end of the cracker with Double Faced Satin Ribbon and insert snap if required then fill cavity with Easter goodies! Add more ribbon tying off both ends. To finish, a Die Cut Oval Shape makes a perfect base for an Easter chick. Cover with glitter either using PVA Glue or A4 Double Sided Sticky Tape Sheets. A little Hot Melt Glue will hold your chick nicely on the base and the base to the cracker.